CHERRY DOLLS DEBUT GETS U.K. RELEASE! 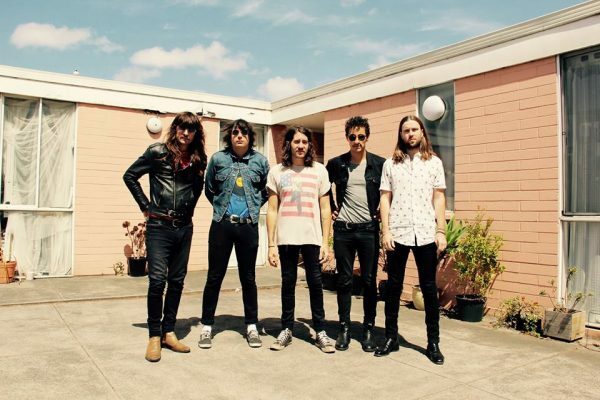 Fast-rising Aussie longhairs THE CHERRY DOLLS are set to release their debut album in the UK. They’ve shared a video of a live version of the track ‘Slave’ to accompany the release of the 10-track Viva Los Dolls, which was produced by Alexander Markwell of THE DELTA RIGGS. Coming together two years ago in Melbourne, The Cherry Dolls have since applied their Stooges, MC5 and Johnny Thunders influences to two well-received EPs and countless road miles. Viva Los Dolls is out on Golden Robot Records through Cadiz on 24 November.